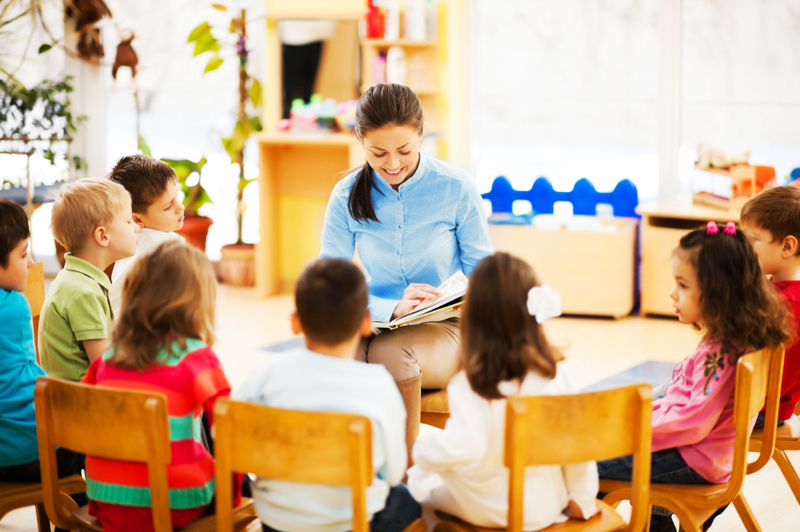 The Early Learning Assessment allows early childhood teachers and care-providers to collect and use assessment information to tailor instruction to the individual needs of each child. 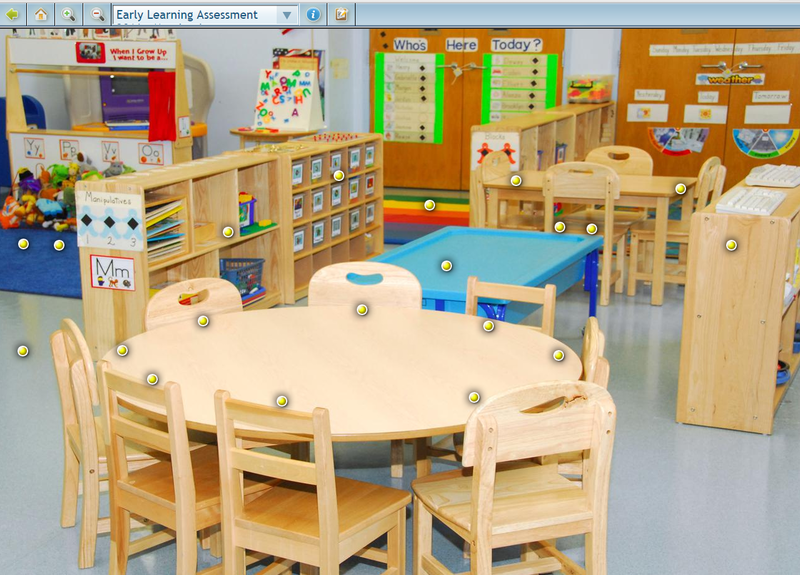 The Early Learning Assessment is designed to be used in the natural environment multiple times throughout the school year and to equip teachers with tools to track individual children’s growth, individualize learning opportunities, plan for intervention, engage in real-time instructional planning, and ensure that all children are on the path for kindergarten readiness and beyond. 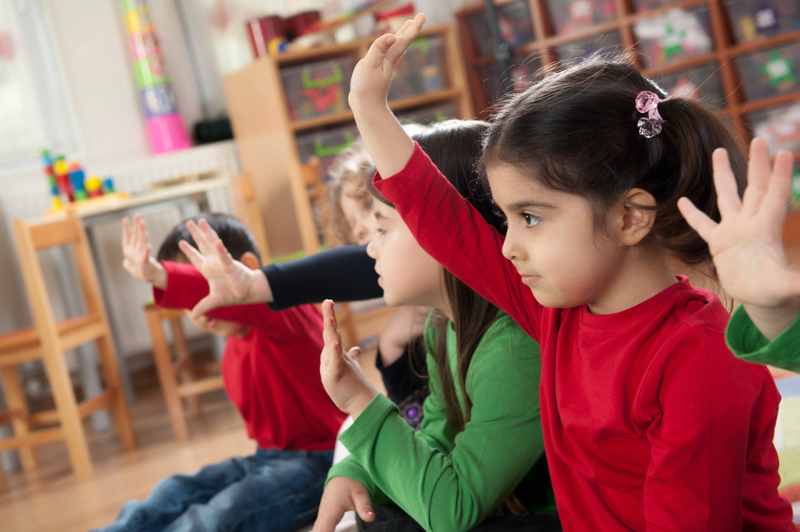 The Early Learning Assessment follows a process to help teachers document, analyze, and make instructional decisions based on the information they collect. Use of this cycle encourages and supports teaching promoting opportunities for children to learn and thrive. 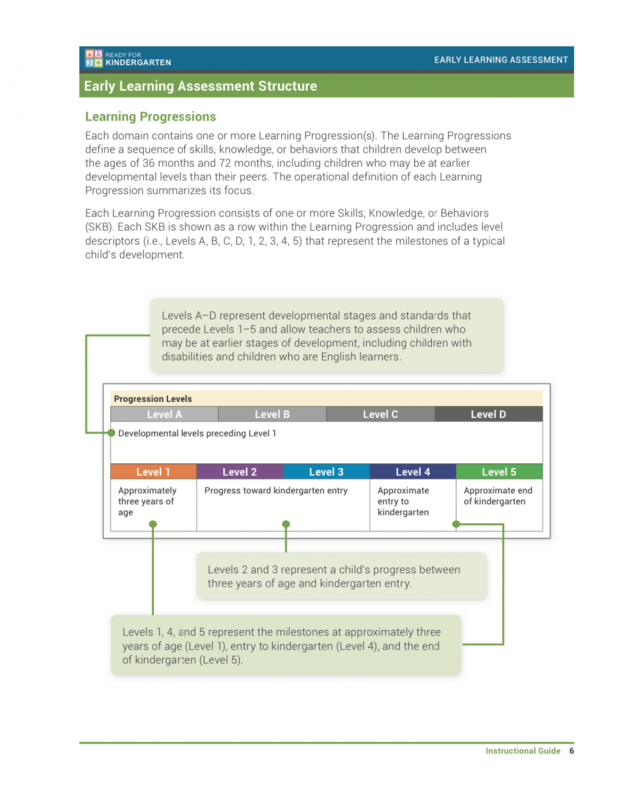 The Early Learning Assessment is based on research-supported Learning Progressions that are aligned to early learning standards and based on seven domains of school readiness: The Learning Progressions define the pathway of skills, knowledge, and behaviors that children develop between the ages of 36 months and 72 months, including children who may be at earlier developmental levels than their typically developing peers. These Learning Progressions and SKBs act as a map that allows teachers to see how everything they are already doing with students in their natural environment has a direct relationship in promoting growth and learning. The ELA is more than just an assessment, it is a professional learning tool; allowing teachers to see how skills, knowledge and behaviors build on each other to promote learning. The ELA App also allows teachers to track student progress, upload anecdotal notes as well as videos and images to document areas of growth and need. This information can then be used to facilitate communication between teachers and parents, and support collaboration and planning between teachers and care-providers. The Johns Hopkins University Center for Technology in Education (CTE) uses research-based methodologies for developing on-time and flexible professional development content that that addresses adult-learning practices and 508 accessibility guidelines. The current training model builds capacity for a cadre of master trainers who have been certified to conduct ELA teacher trainings throughout the state after attending a multi-day Train-the-Trainer workshop. 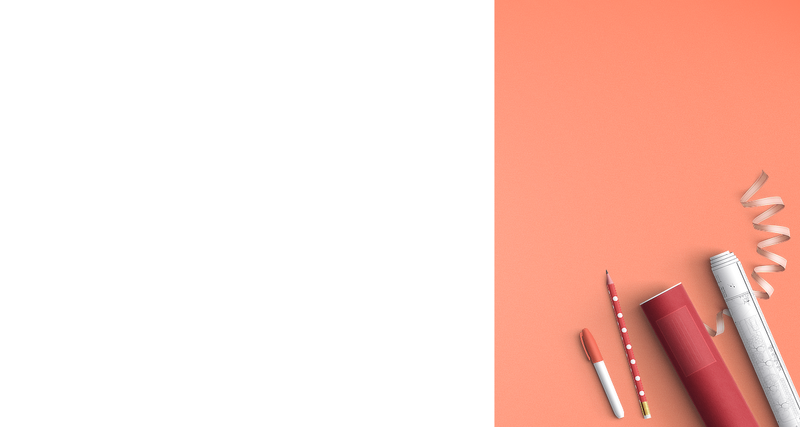 These trainers have access to a trainer site of materials and resources to support teacher trainings, as well as an online community of support throughout the training and testing window. Teachers will be trained in an engaging face-to-face format. The faculty and staff at CTE have developed a robust online site for teachers to access during and after their trainings. This site includes all of the content for understanding the three core components of the R4K system—technology, assessment, and professional supports. The ELA online teacher site also includes robust opportunities to access additional training content, plan for and practice administering and scoring items, simulation exercises, reflection activities and the completion of self-check quizzes and a content assessment. Teachers participating in the Early Learning Assessment (ELA) receive training via face-to-face sessions with support from online modules. Both methods of professional development delivery are designed to engage teachers in learning experiences that prepare teacher to administer the ELA. This module prepares teachers and care providers to identify the components and benefits of a formative assessment. This module is designed to prepare teachers and care providers to identify ways to observe the young children in their care and articulate the benefits of observation. In addition, activities are include to allow participants to practice observing children in different settings and situations. 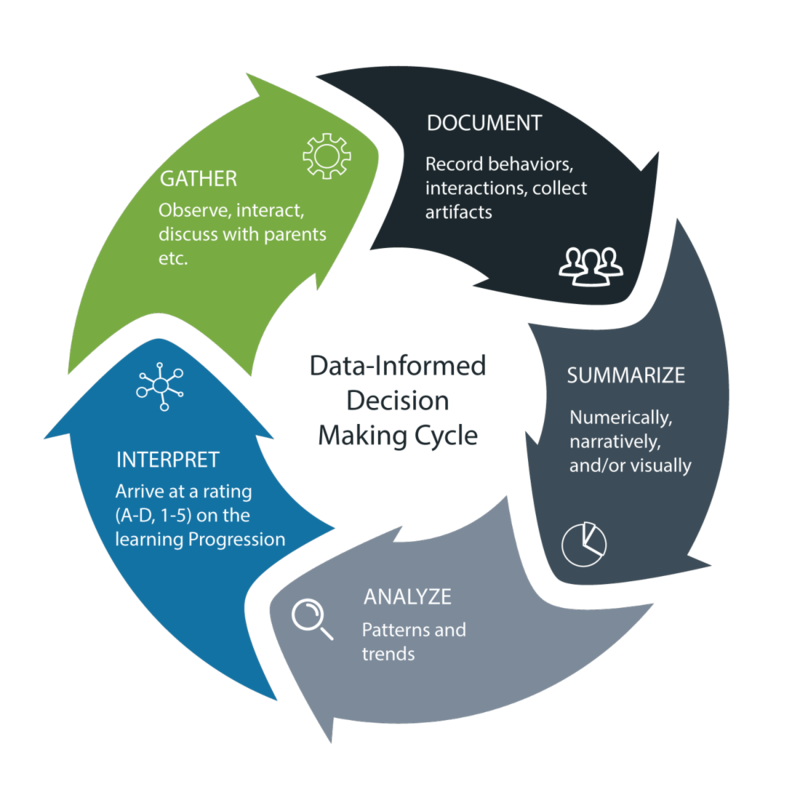 In addition to the content modules, each Learning Domain in the ELA is highlighted with a focus on the Learning Progressions associated with each domain; What it is and why it is important, How to support children’s development, and Data-informed decision making. Activities and resources to support teachers and care providers with instruction and observing children in an authentic and natural environment have been developed by Early Childhood experts and Johns Hopkins Center for Technology in Education faculty. The simulation is a professional development activity designed for teachers to practice administering sample ELA item types. Teachers are shown observational items and child responses - either through images, text, or video - and they then rate the items. 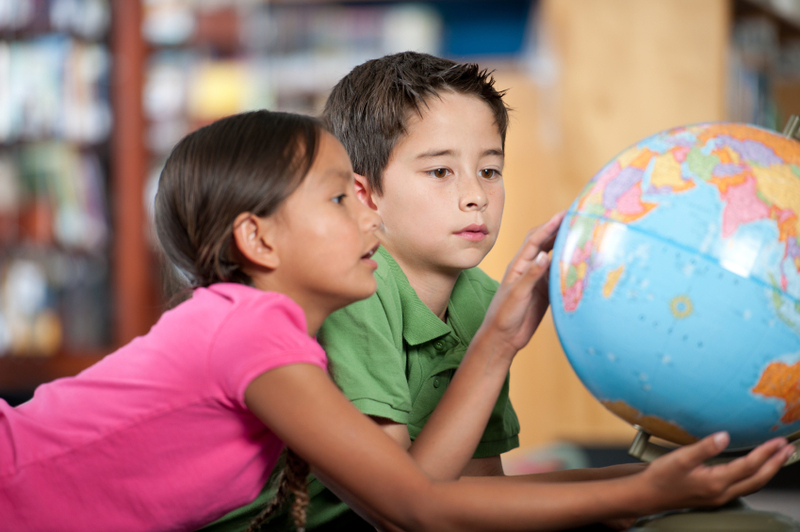 It is important that teachers are able to administer the ELA with confidence and reliability. The simulation exercise will help determine if teachers rate items consistently, meaning that teachers agree on ratings for these items. If teachers’ ratings for these simulation items are not consistent with other teachers, those individuals will receive follow-up support from their certified ELA trainers to ensure that they are fully prepared to administer the assessment. Screenshot of the simulation exercise: Teachers select the various "hotspots" and score items based on children's responses and ELA rubrics. Hot spots highlight videos, learning scenarios, images and scoring rubrics associated with the ELA. 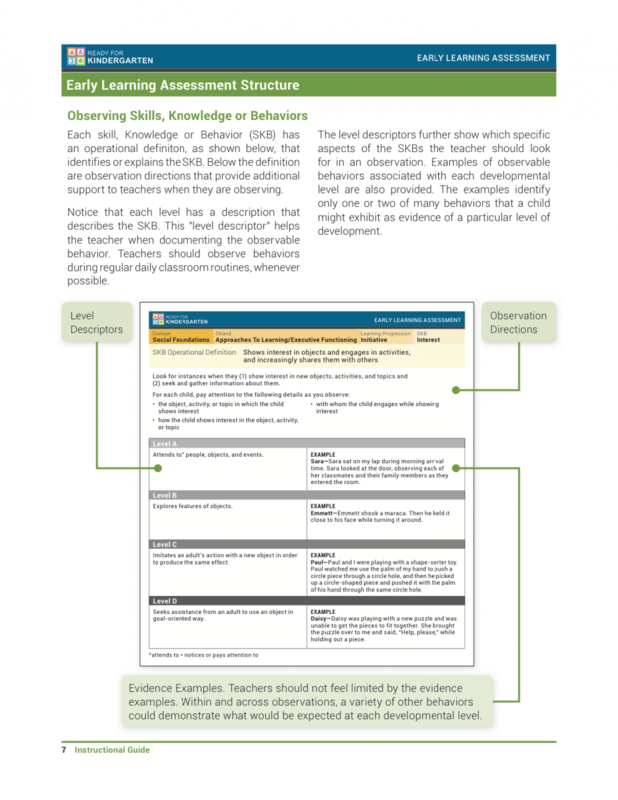 This assessment measures each teacher’s content knowledge from the ELA training. The items come from the session presentations and assessments. If a teacher does not pass the content assessment, they will receive follow-up support from their ELA trainer to ensure that they understand the ELA content and are fully prepared to administer the assessment. 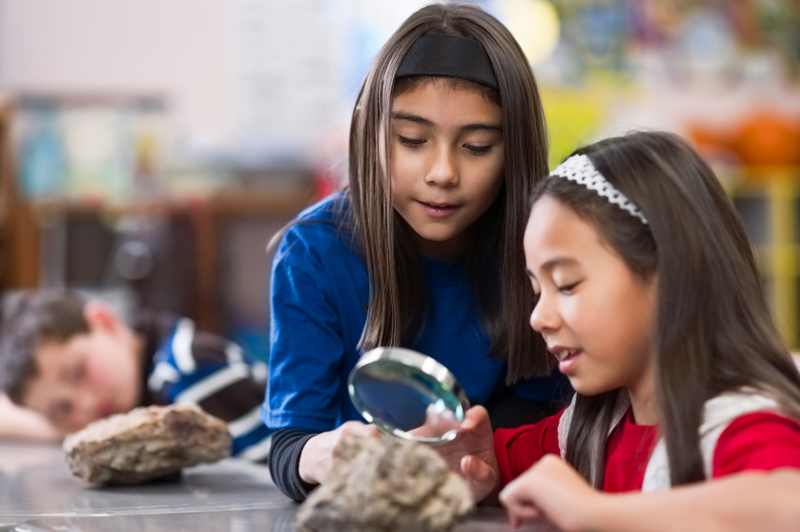 The ELA training connects teachers to enrichment activities for additional practice opportunities including interactive resources and videos for observation practice. 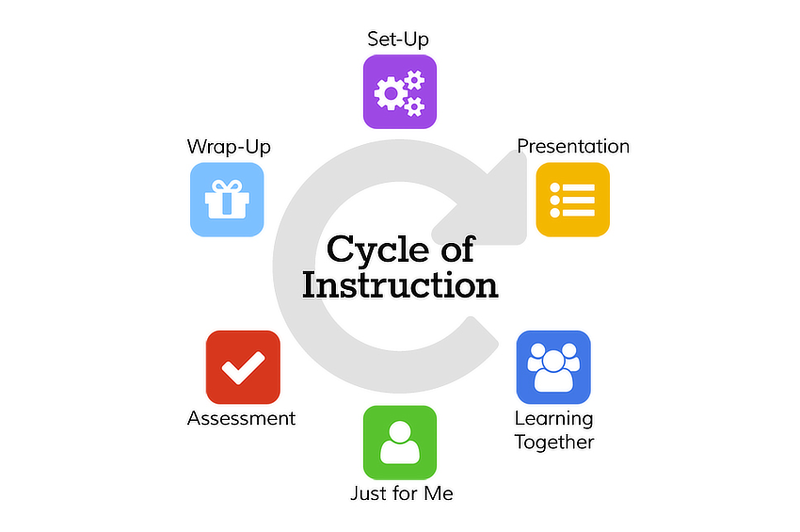 Instructional resources aligned to each Learning Domain and Skill, Knowledge and Behavior (SKB) of the ELA are also provided to support teachers with instruction throughout the year. 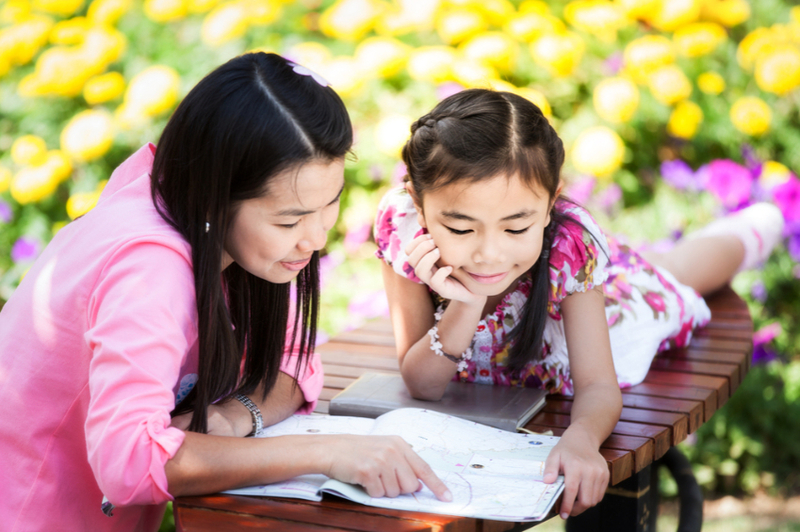 Parent Resources are also include to support learning at home.